Want to use social videos to market your business? It’s estimated that in 2019 80% of all internet traffic will be video. And it’s not hard to see why. A video is a faster, easier way for people to consume information than reading an article or blog. For businesses, that means it’s time to start producing video content. There are many types of content you can produce. Whether it’s a screencast tutorial, explainer video or business videos for a marketing campaign, you can create videos easily with online technology. If you’ve never done it before, that can seem intimidating. Don’t worry! It’s not hard to create videos. You just need to know what to do before you hit record. Here are 6 ways to create engaging social videos. The first step to creating videos for your business is making sure you have the right tools. Below are several things you’ll need to get started. You don’t need to spend thousands of dollars on new camera equipment, but your phone isn’t going to cut it anymore. Professional-looking videos require a high-quality lens. A high-quality webcam or DSLR with video capabilities can work great for business videos. Make sure your image is sharp and the camera has 1080p video recording at 30 frames per second. This provides a high-quality image that you can crop or adjust when you’re in post-production of your video. We suggest a camera with fast autofocus and quick, accurate auto white balance. 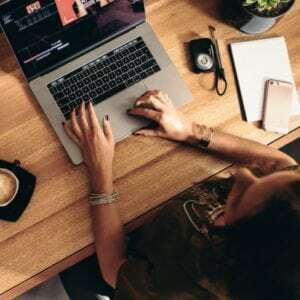 There are many webcams and DSLR cameras in the marketplace that have these features and can be great for recording videos. You don’t need to spend a lot of money. You can shop for these specific features and get high-quality cameras for less than $50 USD. A tripod is also great for cameras or webcams. Having a stable tripod allows you to shoot and record your video without it having to move or shake. Just set up the tripod and camera then hit record. You don’t have to hire an expensive production company to do it. A professional microphone is worth the small investment. You can set one up with your computer laptop. Professional microphones have the ability to pick up your audio narration clearly and help cancel out background noise. You’ll notice a huge difference when using a microphone vs. the audio your computer picks up. You can shop for a microphone with clear audio and those only run $20+ USD. A professional video editing tool is absolutely necessary for video creation. If you’re looking to add text or animation, delete parts of your video or use multiple sources of multimedia then editing software is ideal for creating your videos. Choosing the right software can be hard with all that’s in the marketplace. Make sure you choose a video editor that is easy-to-use and has innovative features that will enable you to be as creative as you can be. Screencast-O-Matic offers an affordable and intuitive video editor. It gives you the ability to add multimedia, transitions and also share your video to multiple social sharing websites including YouTube or Vimeo. Screencast-O-Matic also has features including a green screen filter, and a hosting platform to easily manage your videos which makes it convenient for any business. Unless your videos are animated, you’ll be recording real video. It’s important to make sure the location you are recording in is prepared properly to ensure great content. Make sure you are in a quiet room when recording. A room with carpet can help absorb noises. You may also want to check to see if you are near windows where outside noises like barking dogs or beeping horns may come through. Using a professional microphone will ensure that your audio narration is clear and will help cancel out unnecessary noise. You don’t have to be a professional photographer to capture a well-lit video. But here are a few tips to make sure your video doesn’t come out too dark. Record indoors near a large window. Shine a soft, white colored light on the subject’s face. Film during the daytime (natural light always looks better than manufactured). This may seem obvious, but you’d be surprised at the number of videos with accidental people or objects in the background of the subject. It can be distracting! Make sure the background behind you or the subject is clear and clean of any distractions. You can remove any messy desk or office and reduce distraction by using a green screen filter. Screencast-O-Matic has a green screen feature that allows you to remove a background by replacing it with a creative one. You can use your company’s logo, a clean office setting or even a graphic image as a background of your videos. Here are ‘Green Screen Tips’ to help you get started. Many social media websites won’t let you publish videos that are longer than 1 minute in length. So if you’re creating videos for social media marketing, then being precise is ideal for creating videos on facebook or twitter. You have to understand your watcher and most social media users consume information quickly. In order to be effective, make sure your videos are short and clear. We’ve put together a helpful guide to help you record a video within a minute. 0:00-0:05 Smile and tell us your name and position. 0:05-0:10 Tell us why you’re recording the video, introduce your subject. 0:10-0:50 This is the body of the video, your subject, your purpose. 0:55-1:00 Thank us for watching and sign off. Did you know that 85% of Facebook videos are watched without sound? That can be a problem if you don’t have captions on your video. To gain the most traction on your social media videos, be sure to add captions to your videos. Viewers will be able to watch your video without sound but still be able to gain information quickly. 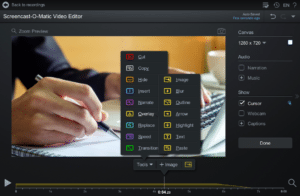 Turning to a video editor like Screencast-O-Matic can help with adding captions. You can easily add captions using speech-to-text technology, typing in your own captions or uploading a text file. If you’re publishing to a video hosting website like YouTube, then put a full video script in the description as well as add it to the captions area of your video. This is a key SEO tool to help your video rank higher on Google. Once your online video is recorded, edited, and captioned then it’s time to post your video and share it with the world. Screencast-O-Matic has easy one-click publishing to various video platforms including YouTube, Vimeo, and Dropbox. For those who have YouTube channels, you can post directly to your channel with one-click! It’s easy to post. 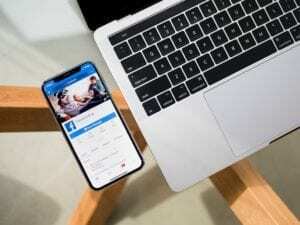 All you need to do is connect your accounts to Screencast-O-Matic. In addition, Screencast-O-Matic has a hosting platform giving you the ability to manage, publish or share your videos. You can even share your video links easily on Facebook or Twitter. Creating a video for your audience isn’t the only thing you should do. You should monitor the analytics of your video after the production is done. This will give you insight on how well your video is doing as well as give you ideas on what you can do better. Checking video analytics is important to understand viewer behavior. Video platforms like YouTube already have analytics that you can check for each published video. It will give you a better understanding of how many views it got as well as how long each video is watched. These statistics will give you better direction on what video strategies to implement in your next production of videos. Make adjustments based on your analytics to improve the effectiveness of your future videos. Now that you’ve got the best tips on making videos for your business, it’s time to get started! Remember, the implementation of images and video is a necessary part of any effective content marketing plan. The best advice is don’t wait to start using videos to boost your business. For more video tips, visit Screencast-O-Matic blog today! To gain access to our intuitive tools, check out Screencast-O-Matic’s video editor. Create, share and experience video with Screencast-O-Matic!